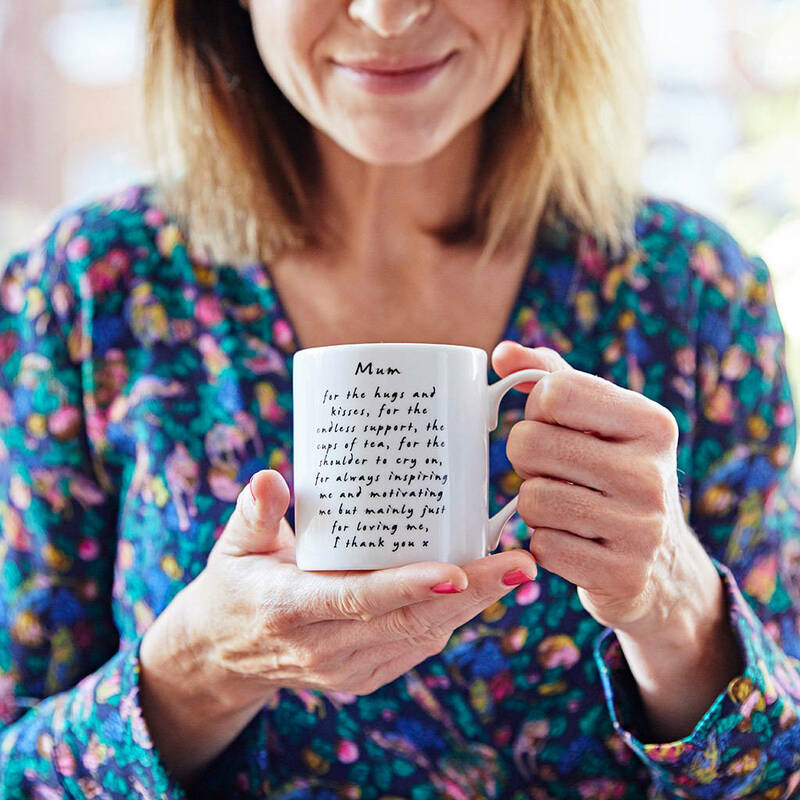 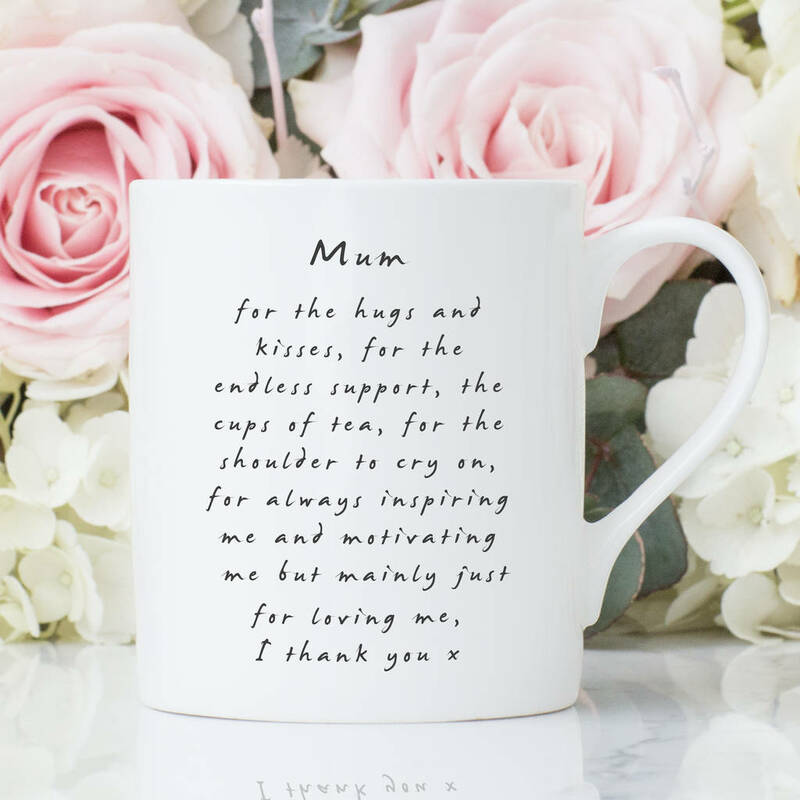 Our 'Thank You Mum' Personalised Mug is the perfect way to send your love and thanks to your wonderful Mum. 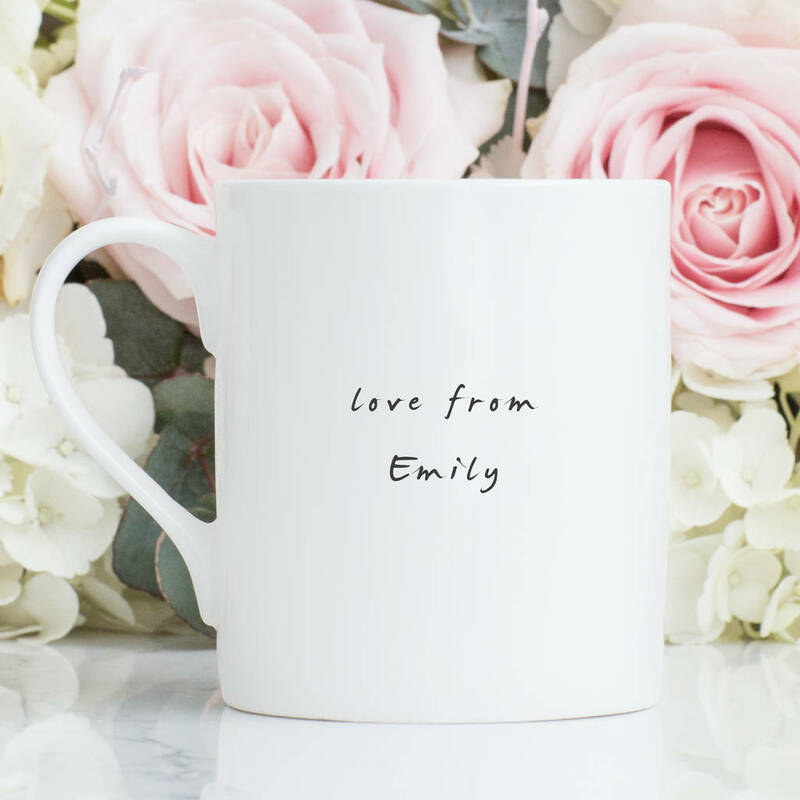 Add your name to complete the 'Love from...' message on the back. 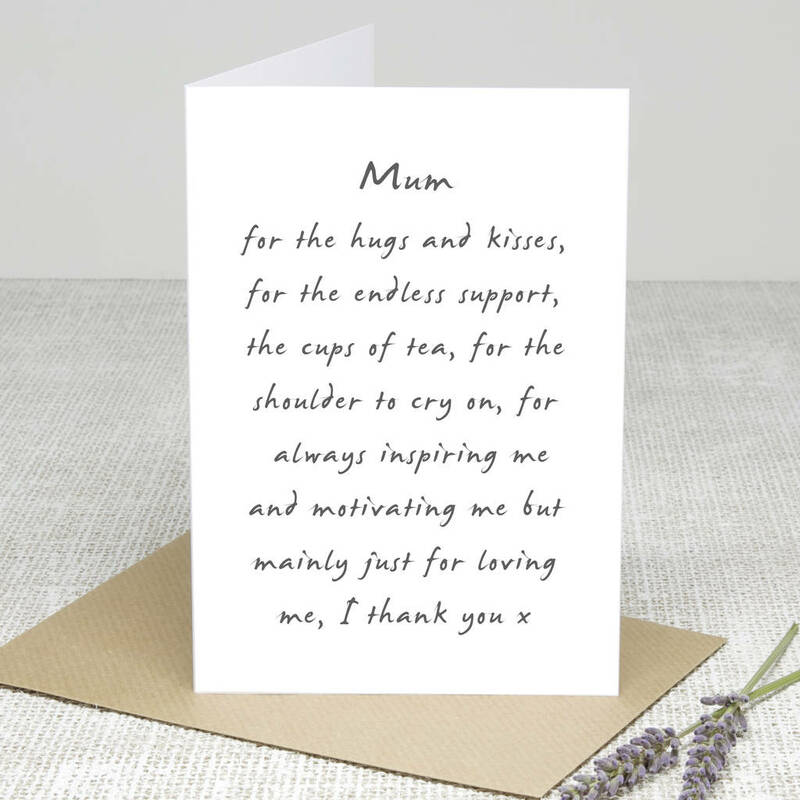 Why not add our matching 'Thank You Mum' greetings card to complete the gift.